Throughout the World Missions Conference in February, we were reminded of our identity as image-bearers of God and our calling to declare His glory to the ends of the earth. During the conference-ending Sunday evening worship service, many of our members demonstrated their response to this calling as they stood and were commissioned together for short-term mission trips. These short-term mission trips provide a unique avenue to both serve missionaries and their communities around the world and to expand our own personal visions through exposure to what God is doing in His kingdom throughout the nations. 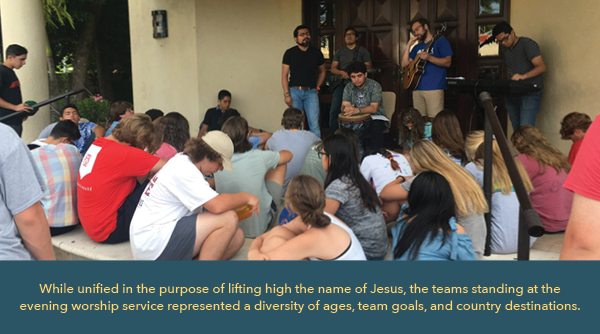 While unified in the purpose of lifting high the name of Jesus, the teams standing at the evening worship service represented a diversity of ages, team goals, and country destinations. This summer, the youth at Second will be going to Merida, Mexico, to serve under our national partner, Gaby Morales, at Shalom Church. Focusing on the practical needs of Merida, the high school students will assist local initiatives with construction work, primarily focusing on mixing and pouring concrete. Why would high school students give up a week of their summer to do such physically taxing work in another country instead of enjoying rest and relaxation during their break? 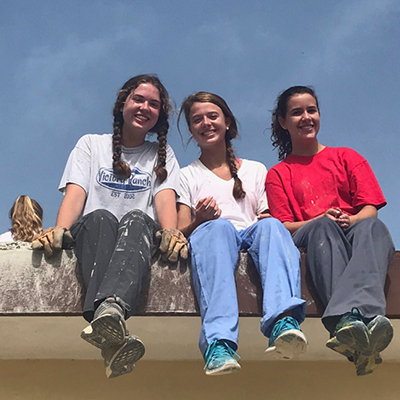 EA Hickman, a junior at Westminster Academy, is going to Merida for the second time this summer, and she said that the trip has been imperative to her own spiritual growth. The mission trip to Merida is unique because of its multiple layers of partnerships. One of these layers consists of the youth ministry’s relationship with students from Leadership Empowerment Center (LEC), another youth group in Memphis. 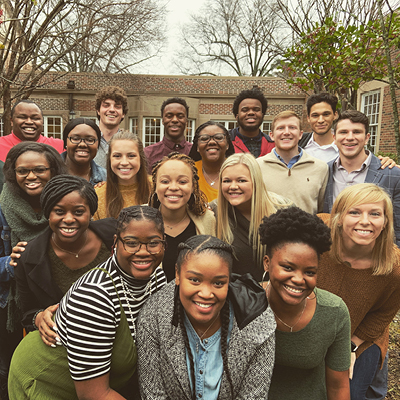 Students from both ministries have been attending trainings together this semester and will serve together for the first time in an international context. Not only is there a local partnership in Memphis, but EA also highlighted the partnership she experienced with members of Shalom Church. She pointed to the tangible ways that believers in Merida welcomed and served the youth team, such as hand-knitting over thirty hammocks for the students to sleep in while there. To her, this was a beautiful picture of the mutual demonstration of Christ’s love in the overall participation of the Church in kingdom work. Serving in a different capacity, a team of Campus Outreach college students will be headed to Lusaka, Zambia, for six weeks this summer. CO South Africa recently launched an expansion to the neighboring country of Zambia under the leadership of Tim Byrd. These seventeen students from CO Memphis will be pioneering as the first team from the States to go to the new expansion in Lusaka. She emphasized the importance of exposure to international missions in the lives of many of the students on the team who surrendered their lives to Christ while in college. Despite the obstacles that many students face in going on a short-term trip overseas, such as financial barriers and parental concern, there are also immense personal benefits. DeAnna added that this is a huge opportunity for personal spiritual development for the students to learn how to work on a team, gain skills in evangelism, and walk more deeply with Christ. DeAnna stressed the value of seeking to serve under the current initiatives of Campus Outreach staff in Zambia to help build on the foundation that they have already established. This not only includes building relationships with non-believers to share the Gospel with them, but also to encourage the student leaders on campus who are already involved with the ministry and seeking to reach the lost at their school as well. What a privilege to find fellowship in the single-mindedness of Christians across the nations! Although short-term missions trips serve a variety of functions and purposes, these short-term teams also play an important role in coming alongside missionaries to assist in their existing ministries. She pointed to one of the teams from Second that went to Indonesia last summer to run a VBS for her church, Covenant City Church (CCC). Although the staff had always hoped to run a VBS at CCC, it was not a feasible option for them with the existing demands on their time and ministry and the limited number of staff to pull off such an endeavor. 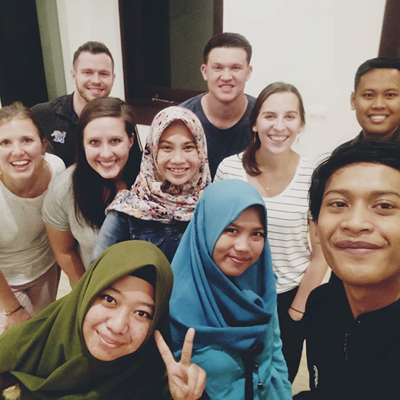 The short-term team assisted in preparing and executing the VBS, which served as a catalyst to connect many new people to CCC, opening the door for her and the other long-term missionaries to follow up with them throughout the year. With this goal in mind, she stressed that, “the primary purpose in any relationship that you develop on a short-term trip is to connect them to the ministry that is already ongoing in the community.” This approach fosters an impact on the community that lasts much longer than the finite time that a short-term team spends in the country. With this in mind, let us rejoice that God graciously chooses to use us, with our meager gifts and talents, in His great story of redemption for the world. Please pray for our short-term teams — that God would work mightily in and through them. Pray also that God would prepare the hearts of those around the world so that they would receive the Gospel and join in our fellowship in Christ.